“I really liked this, I’ve recently been trying new genres and this book sounded so intriguing that I couldn’t wait to start it. The Lost Boys is so easy to get into, I liked Joey as a character straight away, she made me laugh with her observations and her voice really spoke to me. And Tristan…oh I fell in love with Tristan straight away and his way of talking, his personality, everything. I loved reading about the adventures of The Lost Boys, and I was particularly excited about Joey’s involvement, and the bond that she created with all of them. It felt as though I was reading about a group of very best friends, and I was so pleased to share their journey and activities with them. “When Joey Gray moves to a new town she feels a bit of an outsider and alone as doesn’t know anyone until she meets a mysterious boy, Tristan, in the local graveyard when accompanying a neighbour. But there’s something a bit strange about him as the graveyard is the only place that she ever seems to see him, just who is he and what is his story? Joey was such a delightful and geeky character that you couldn’t help but fall in love with her and I loved seeing her blossom as her friendship with Tristan, and then the friends she makes at her new boarding school, develop. “As soon as I started reading this I was hooked within the first couple of chapters, I loved getting to know Joey Gray and meeting Tristan Halloway and reading that they get close until one fateful night on New Years eve at a party in the graveyard… everything changes, but for the better? Who knows! It is a fast pacing engrossed read which will leave you flicking the pages as quick as you can, I feel at the moment while reading this book something major is going to happen with Tristan but I don’t think I will like it, I may even cry I think but I do hope there is going to be a happy ending for Tristan & Joey. I will just have to read more to find out. I do recommend this book to everyone wanting to read something similar to Twilight and Lauren Kate. I think this book could be talked about for a while. It’s going to do fab I reckon. “Reading phenomenon on Wattpad, a social network free amateur writers and passionate readers, with over 33 million readers the story of Lilian Carmine called Lost Boys series, drew attention of Random House that decided to publish the trilogy in four different languages. After much waiting, fans of the series were thrilled with the launch day which was yesterday October 24, 2013. The English and Italian first book version of the series is called The Lost Boys and now is available on amazon.uk, among other sites. (…)Lilian Camine brings brilliance and creativity that engages the reader in a way we really feel like living those moments with the Lost Boys gang. “The first episode of a new and thrilling trilogy about the power of friendship and love. Translated into 3 countries, Portugal, Brazil and Italy. The Young Adult book event of the Fair in London in 2013. Joey Gray is 16 years old and has just moved to a new city . She feels alone and confused, and everything seems alien , even hostile. Until one day, close to home , he meets a lonely boy and very charming, Tristan Halloway . Tristan has a strange habit: he spends his time wandering among the graves of the cemetery. As Joey thinks he’s a crazy guy, even eccentric, she soon discovers that, as bizarre as it may seem, he has a reason to go there every day … From this moment on Joey ‘s life will be completely changed: together they find themselves catapulted into a daring adventure , including magic spells and terrifying dangers, fighting a fierce enemy that only music , friendship and love can defeat . A new saga that will surprise you. A novel that will keep you up late. Wonderful story of truly timeless friendship, is not the common book with a mystery plot, a secret to be revealed, but it has also a beautiful story about true friendship, a story that shows that when you’re in trouble, you know you can count on friends, and makes you hope to meet friends like that in your life as well. It’s mostly romance and comedy, but the main plot is based on magic and music. 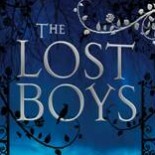 “I read “The Lost Boys” first on Wattpad about a year ago and it was magical. I even thought that Lily was truly the real ‘witch’ here. I was immersed, way too much, with her writings. It’s like she puts spells in every word of her writings. She tells us about the adventure of the Lost Boys with such a nice flow and how every little events attached to my brain and I can’t help but to remember every tiny-little-bit details about her characters, Joey along with her Lost Boys friends. It’s like they’re real, their awesomeness just for infinity and beyond. She makes her characters alive. Send your book review link in the comments!